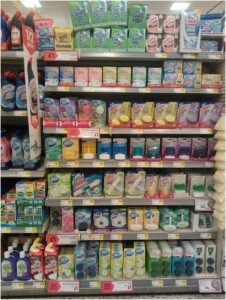 Visit 200 Morrisons stores on behalf of a household manufacturer to check in-store promotional compliance across the toiletries range. 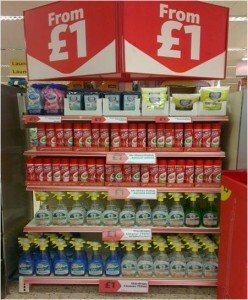 The promotion was a ‘Price Cut to £1’ which was displayed in two locations in store; the main fixture as well as a side stack. 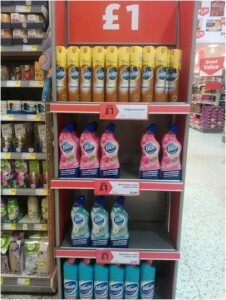 The team visited each location in store to confirm whether the products were on the correct promotion. Where the promotion was not set up or the products were not dual sited in the correct locations, our team spoke to the store manager making them aware of this and proceeded to correct where possible whilst in store. Photographs were taken on arrival and exit so our client was able to see the positive impact in each store. On entry to the store, compliance on the secondary location (sidestack) was extremely poor – our field team were able to increase compliance from 38% to 84% during the visits.